The School aims at producing a generation of well educated monks who will continue higher philosophical studies in the Monastic University after graduating from School and who will eventually graduate as Geshes preferably achieving top level Lharam Geshes Degree which is equivalent to Doctorate in Buddhist Studies in advanced Buddhist studies. These future new generation English speaking Geshes are expected to independently contribute hugely to spread of the Message of Kindness and Compassion and universal responsibility based on Buddhist Teachings for the peace and happiness of all living beings while simultaneously serving the cause of Tibetan people and their unique cultural heritage on a global level for the benefit of all sentient beings. 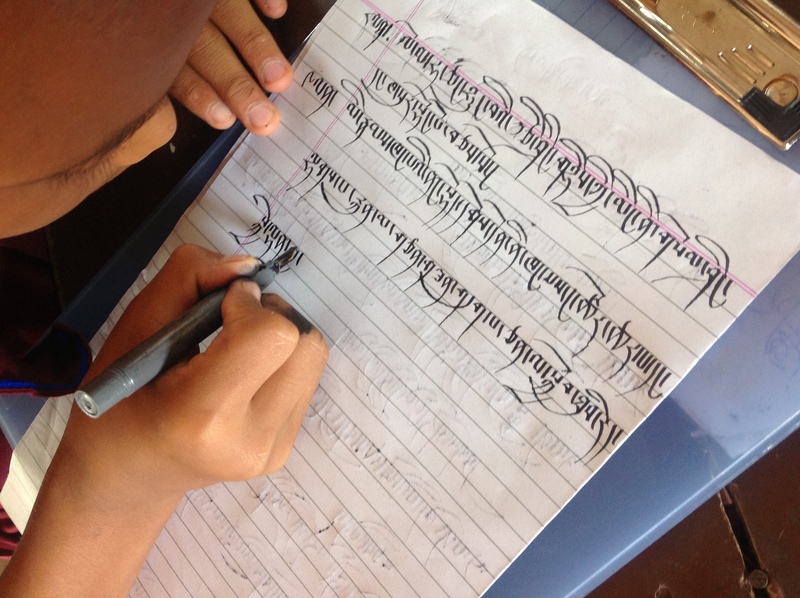 The main objective of the School is to facilitate complete educational opportunity to the novice monks in the Monastery, to make modern education freely available to them within the Monastic system without compromising on their monastic training and traditional studies. This has become necessary in the present situation as modern education plays important role in success and accomplishment of individual and organizational work in the modern society. Thus our students' final goal is to complete higher Buddhist studies from the Monastic University and obtain a Lharam Geshe Degree. They would be well equipped to Teach Buddhism even to non-Tibetan students. Because of their modern education background, they will be in the position to confidently Teach Buddhism in any University or Institution in India or abroad. Otherwise, they will remain within the Monastic University and teach junior students in the Monastic University for years. There are Four levels of Geshe Degree awarded by the Monastic University after a student completes his studies in all the five major Buddhist metaphysical and philosophical studies. These are, Lharampa, Tsogrampa, Rigrampa and Lingse. Lharam is the highest level of Geshe title. The future vision of the School is to raise capable new generation monks to independently teach, write and translate Buddhist teachings and scriptures both in Tibetan and English and become Buddhist scholars of international standing. Recent happenings in the world has shown that to sustain peace in the world with its diverse humanity, the world needs to maintain a fine balance between external material development ‘prosperity’ and inner mental development ‘peace’. Here in SJSS we strive to evolve a balanced education system drawing best from both the traditional and western knowledge to truly cope with the prevailing situation and challenges in the present day world and to help contribute to global peace movement. This unique multi-dimensional educational system within the traditional Monastic Organization and within the ambit of traditional Monastic training and spiritual education opens up a world of possibilities in developing and fusing a meaningful holistic educational system aimed at promoting the ideals of universal responsibility and peace in the world. 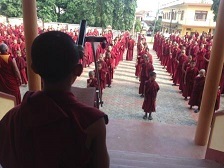 Today, hundreds of young novices seeking admission to Sera Jey Monastery for monastic training and religious studies need not sacrifice modern educational opportunity. Instead, they can, automatically get opportunity to assimilate both the religious and secular knowledge simultaneously. Sera Jey School successfully strives not only to prepare its students to intelligently adept to modern intellectual and social ideas and information but also to act as a intellectual bridge linking the traditional wisdom and modern technological knowledge. 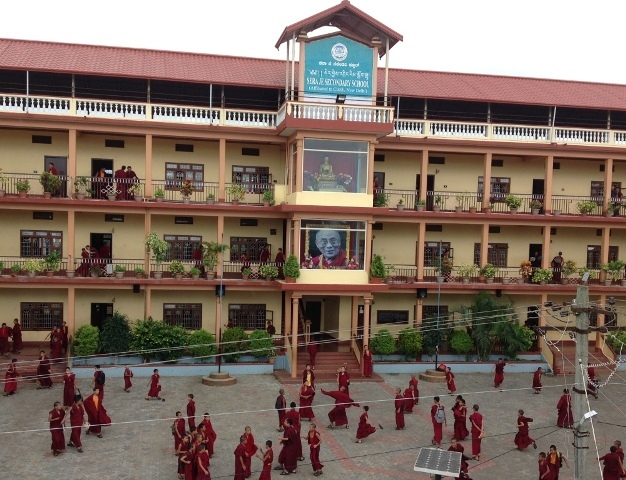 Sera Je Secondary School is endeavoring to transform His Holiness the Dalai Lama’s vision into reality. His Holiness the Dalai Lama foresees a very important role for the younger generation monks who enjoy best of modern and traditional education to creating a genuine condition for world peace and religious harmony and happiness in the world.